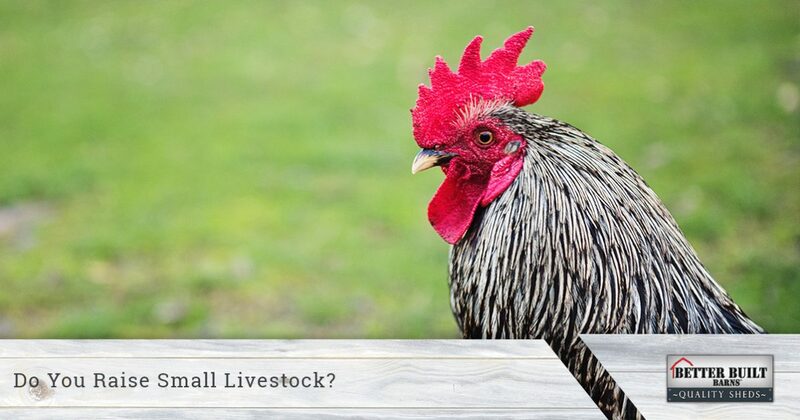 Do You Raise Small Livestock? Lots of people around the country keep small livestock such as chickens, sheep, or goats on their property. They may keep the animals as a hobby, or they may raise them as a source of income. Whatever the case may be, small livestock can be a great investment, but if you choose to go that route, where will you store all of the feed and supplies that you need? With a custom shed from Better Built Barns in Oregon, you can create the perfect space for all of your livestock supplies, whether those are feed bags, water buckets, or incubators! Oregon gets a lot of rain throughout the year, and it can sometimes seem like a challenge to keep your livestock supplies dry. You might store some things in the garage, but when that creates too much clutter, you move a few things outside to get them out of the way. However, when the rain comes, your feed bags and supplies can get wet, which can render them useless. With a new storage shed, you can stack and organize everything inside, keeping it dry and ready to use whenever you need it. You may buy chicken feed in bulk, and having somewhere dry to store it can help you save money in the long run. 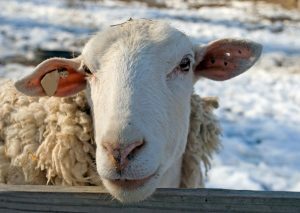 If you have four-legged animals such as sheep or goats, then you likely have an area in which they can roam, as well as a small barn or shed where they can go to get out of the rain and wind. With chickens, you need somewhere for them to roost, especially if you have laying hens and you plan on selling the eggs for some extra income. A small shed can be the perfect chicken coop, and you can outfit it with roosts, laying boxes, infrared heaters, and much more. Your chickens may be free range during the day, but a secure shed where they can roost at night is a must for any livestock owner. Not only will the chickens be warm and cozy, but you can protect them from predators such as foxes or coyotes. If you’re raising chicks, then you can create a separate space in the shed for egg incubators for the unhatched chicks, and boxes and heat lamps for the little ones that have hatched. Many people raise sheep for their wool, and when it comes time to shear the animals, it’s good to have a dedicated space in which to do so. A new outdoor shed can be ideal, since you’ll have room for the shearing table and all the trimmers and accessories you’ll need. If you hire a professional to come in every year and shear your sheep, then they’ll have a space where they can set up and work, and get through your animals more quickly. Raising livestock can be very rewarding, and if you’re looking for a new shed where you can store supplies, or that you can turn into a chicken coop or shearing shed, then contact Better Built Barns today. We have two Oregon locations, and you can reach us at (503) 390-2623, or you can fill out the form below and a member of our team will get in touch with you. We’ll walk you through the site preparation and installation process, and we can help you choose the features for your new shed. We have several styles of sheds to choose from, and we’ll gladly recommend an option based on your needs and your budget.